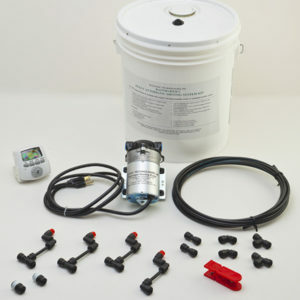 Our all new quick connect patio misting system kits attach directly to your garden hose bib and require no electricity. 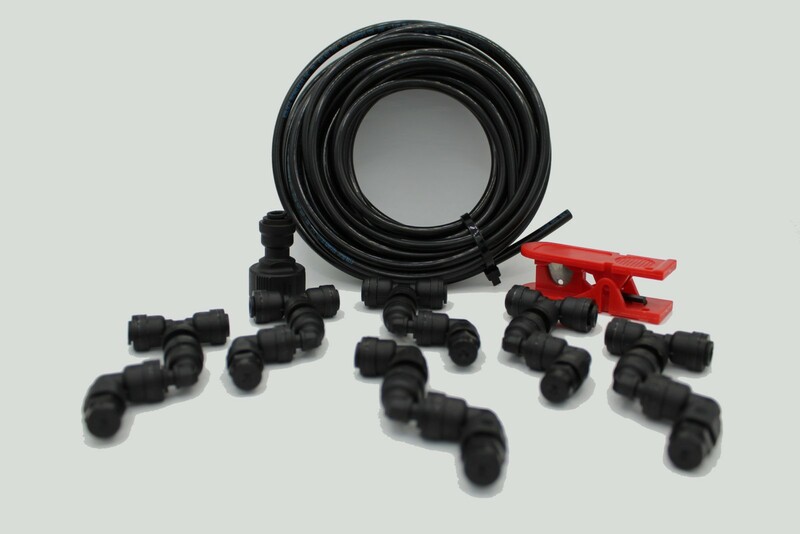 Quick connect fittings allow for a quick and easy installation. Includes everything you need to keep your friends, family and pets cool and comfortable this summer while enjoying your outdoor space.